Most of us aim to achieve certain goals within a specific period of time, with this time being extremely important. While it is common to set career goals with a time frame in mind, it is also important to plan our life goals, which is where Term Insurance Plans come in handy. These plans offer protection for a specified period of time, helping us carry on with our regular work without having to worry about what could happen to our loved ones if something happened to us. ICICI Prudential is one insurer which offers term plans which meet our personal agenda. They are a smart choice if one has upcoming financial requirements which they intend to secure, even in their absence. These plans ensure that the absence of an individual doesn’t derail the life of his/her loved ones. Affordable – One can purchase these plans at an affordable premium. High cover – One can opt for a cover which meets his/her financial requirements, with ICICI Prudential Term Plans coming with a cover as high as Rs.1 crore. Tax savings – Policyholders are eligible for tax benefits under Section 80C of the Income Tax Act. The amount received as a benefit is also eligible for tax savings under Section 10(10D). Customisation – These plans can be customised based on the current needs of an individual. One can choose the term, the premium payment frequency, and mode of premium payment which suits his/her needs. Enhanced protection – One can choose to enhance the protection offered under these plans by opting for riders. Critical Illness protection – Certain term insurance plans offer protection against critical illnesses. This plan comes with four benefit options, Life, Life Plus, Life and Health, and All in One, providing cover based on the needs of a policyholder. In the event of demise of policyholder, his/her nominee will be paid a death benefit based on the plan chosen. This plan also provides additional incentives to female policyholders. One can also choose to enhance the cover based on changes in their lifestyle/added responsibilities. This is a regular term insurance plan which can be purchased online. It comes with two options, with option 1 providing just the death benefit if the policyholder passes away while the plan is in force. Option 2 provides an additional death benefit if the policyholder passes away in an accident. There is no maturity benefit provided under this plan. 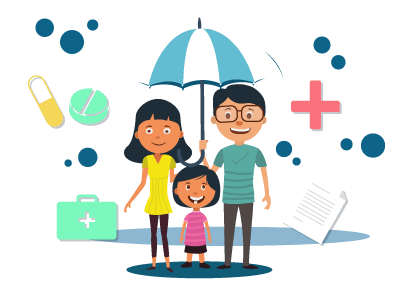 This is an enhanced version of the ICICI Pru iProtect Smart plan, wherein policyholders are provided protection against 34 critical illnesses. A sum is paid to the policyholder if he/she is diagnosed with any illness covered by the product. In the event of death of policyholder, his/her nominee will receive the sum assured. Additionally, if a policyholder is diagnosed with a permanent disability, the policy waives all future premiums. This is a traditional term insurance plan which provides protection to the family of a policyholder after his/her demise. It is ideal for those looking for financial protection at affordable rates. The policy pays a death benefit on demise of policyholder, with no maturity benefit offered under this plan. Why do you need ICICI Prudential Term Plans? Given the unpredictability of life, it pays to be protected by a good insurance plan. ICICI Prudential term plans offer a host of benefits to individuals, helping them go on with their daily requirements without having to worry about the financial security of their family in the case of any untoward incident. One can choose a plan which meets their expectations, with ICICI Prudential offering both online and offline schemes. Flexibility in terms of premium amount, sum assured, premium payments, etc. ensure that one can customise these plans based on their requirements. In addition to these features, female policyholders are also eligible for rebates and additional cover. ICICI Prudential Life Insurance also has a high claim settlement ratio (99.96% as of 2016-2017), reflecting their commitment towards their members.